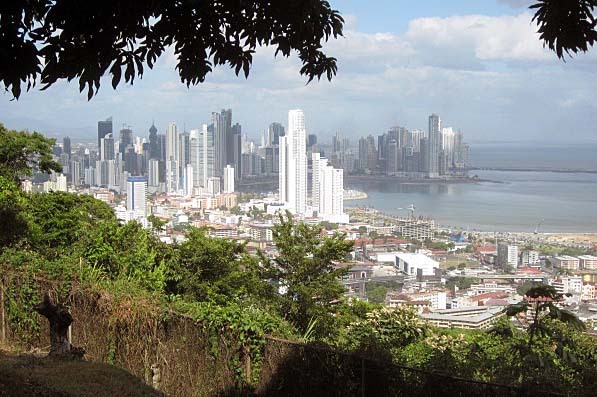 One of the sights you will definitely notice upon entering Panama City, Panama is the huge flag of Panama waving high on Ancon Hill. It flies proudly to be seen from the downtown area as well as the Bridge of the Americas and the Panama Canal. What most tourists do not seem to know is that you can go up there. 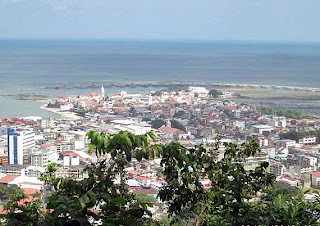 We had no idea until our taxi driver offered during our trip to Casco Viejo, the old town. It did not take long for us to say yes. It is not an easy taxi ride winding up the mountain on narrow streets. It seemed every hundred feet there was an annoying speed bump to break our momentum. Upon reaching the summit you will be wowed. The views are simply spectacular. 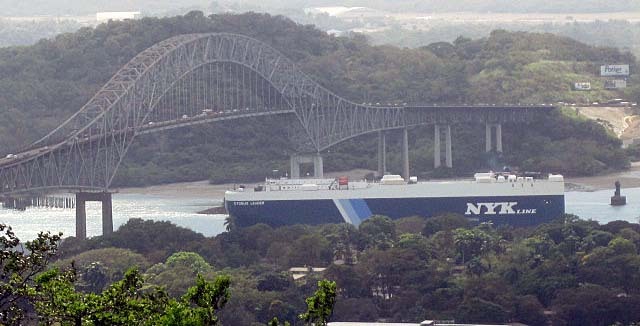 To the north is a breathtaking view of the Bridge of the Americas and the Panama Canal. The loading docks with all their cranes and huge cargo ships sit directly below you. 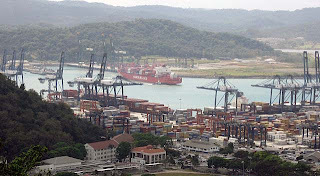 To the east are the Miraflores locks of the Canal. 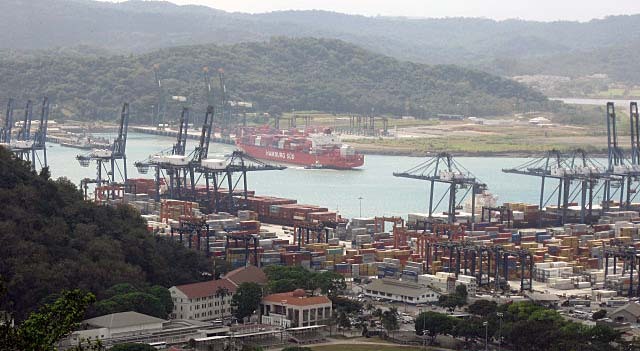 If you are lucky you might catch a huge PanaMax ship coming through the gates and heading out to the Pacific Ocean. 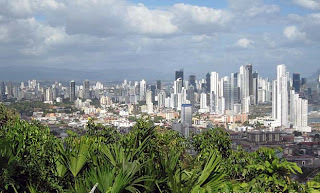 The top of Ancon Hill is small making hiking around quite easy. Within a couple of minutes you can get the spectacular views in any direction. Southward are the beautiful skyscrapers of Panama City. Finally spin to the west and you will be rewarded with a view of the old city and the Pacific Ocean. The taxi ride should set you back about $10 and I can say it will be about the best $10 spent on your visit to Panama City, Panama.